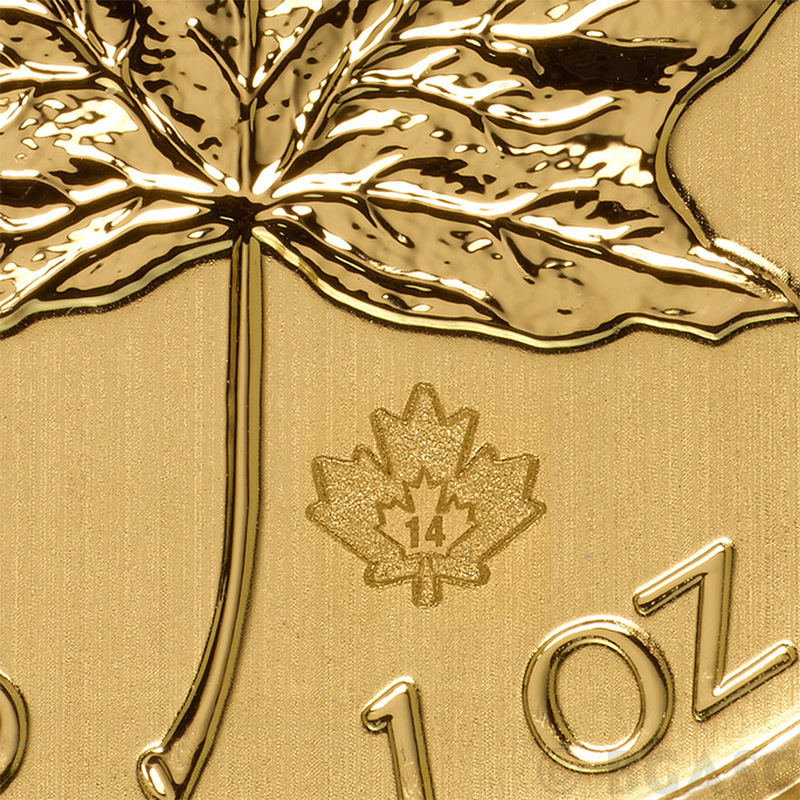 The Royal Canadian Mint's Gold Maple Leaf (GML) bullion coin is among the world's most popular pure gold coins, having sold over 20 million troy ounces since their introduction in 1979. 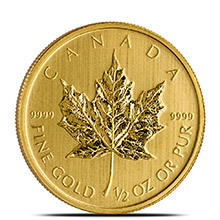 In addition to being sought worldwide for its exceptional 99.99% purity, the GML also boasts an unprecedented security feature. An intricately engraved design produced by the Mint's innovative use of laser technology on the reverse of the coin ensures the coins authenticity. 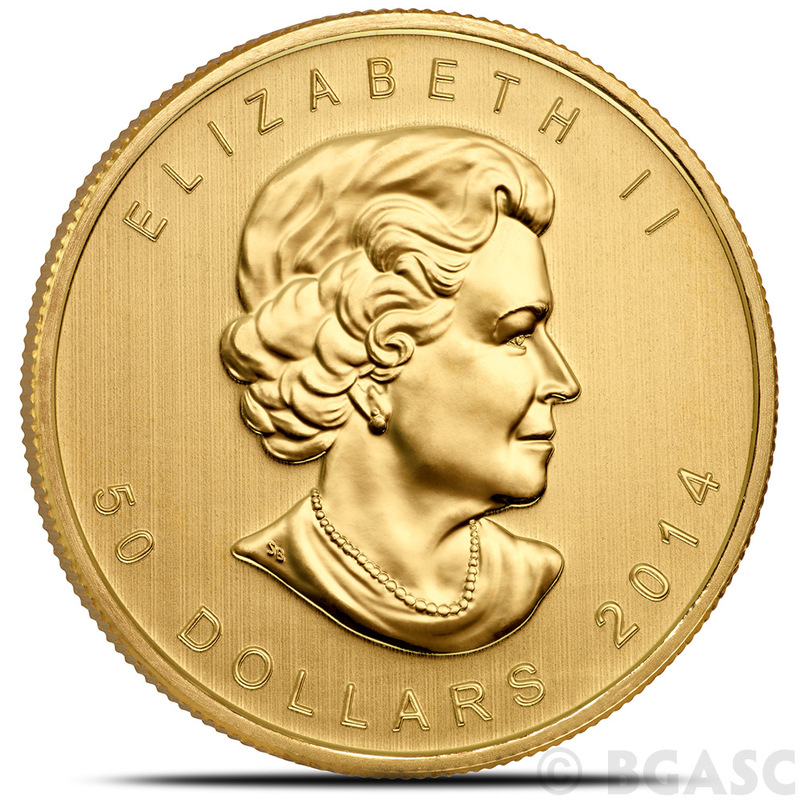 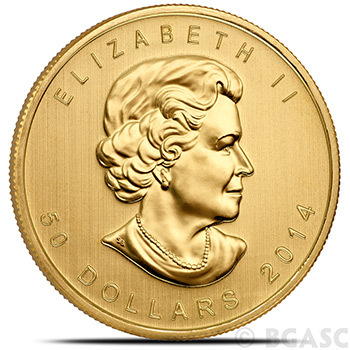 The reverse features Canada's iconic maple leaf while the obverse features the effigy of Her Majesty Queen Elizabeth II, created in 2003 by Canadian portrait artist Susanna Blunt. 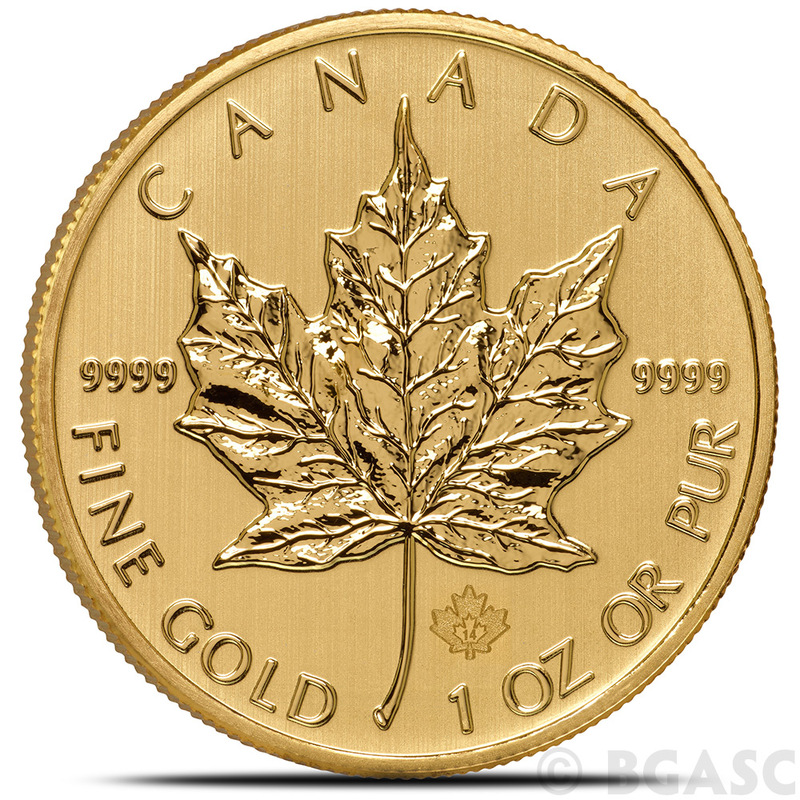 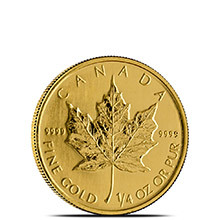 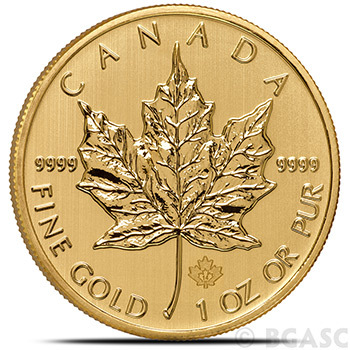 These 2014 gold maple leafs are brilliant uncirculated coins acquired from right from the mint and contain one Troy Ounce of .9999 Fine 24kt Gold. 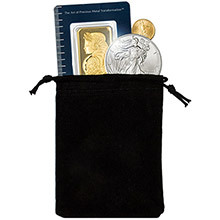 Quantities of 10 ship in mint tubes.